The hop rhizome Pre-Sale has ended. 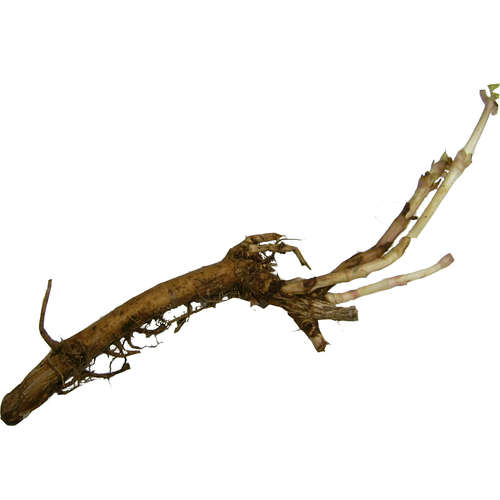 We'll be receiving the rhizomes and fulfilling orders as soon as they're available, which should be in early-mid April. 11.5-14.0% AA - Grows well in all climates. A great bittering hop that is commonly used in U.S. commercial breweries. The considerable oil content and lower cohumulone levels make this a very versatile hop. Rhizomes should be planted immediately for best results. If your area is still experiencing frost then you can plant them in a planter indoors until it is safe to transplant outside. The first years crop will generally be smaller than subsequent years. Since these are live plants, we cannot guarantee they will grow, so we recommend buying two of each type to help ensure their success. Due to agricultural restrictions, we can only ship rhizomes to addresses that are in the United States, excepting Hawaii, Oregon, Washington, and the counties of Bonner and Kootenai in Idaho. Unfortunately, we cannot ship these to international locations including APO/FPO addresses.